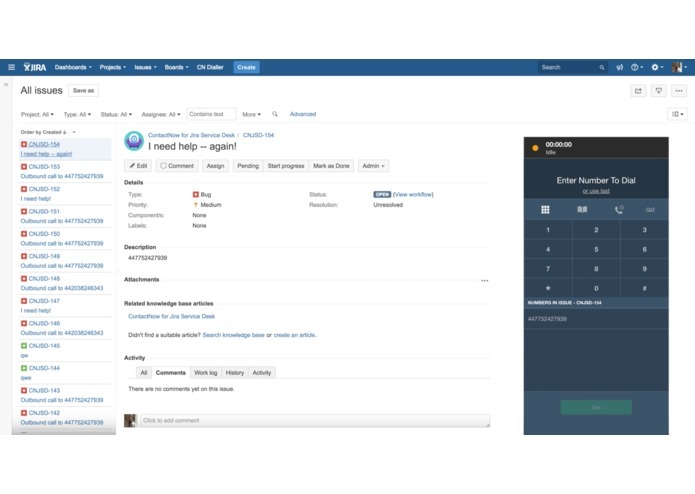 Create a unified experience for Jira Service Desk agents who make and receive calls. Quickly manage calls from the ticket so you don't need to switch tabs. 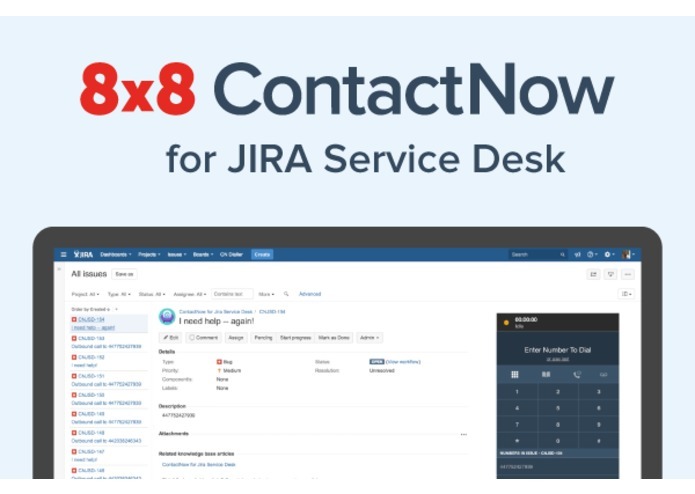 Login, connect and start using ContactNow for Jira Service Desk. Agents can make and receive calls and have access to all phone features such as hold, call recording and transfers, all without leaving the ticket. Search displays tickets and users for selection to associate calls with tickets. Suggested ticket for quick assignment saving agents time. If you can't find what you're looking for you can create a new ticket with a single click. ContactNow will automatically add comments to the ticket with call information. You get a full view of the the ticket's history be seeing all the calls made and received along with the agent who worked on them, the time and duration of the call. Now you can contact your Jira Service Desk customers instantly by clicking to dial them. ContactNow will automatically detect Phone numbers so theres no need to search for contact details. The phone shows all the numbers you need so you can start a call with a single click. First Atlassian add-on for ContactNow, built in four days at Atlassian Connect Week in Austin, TX. What's next for ContactNow for Jira Service Desk? Exit Beta and add more customisation options, such as automatically creating a ticket when a call is answered.